Subscribe today and get 1 year (5 issues) for only $29.95! Sign up to receive the best in art, design, and culture. 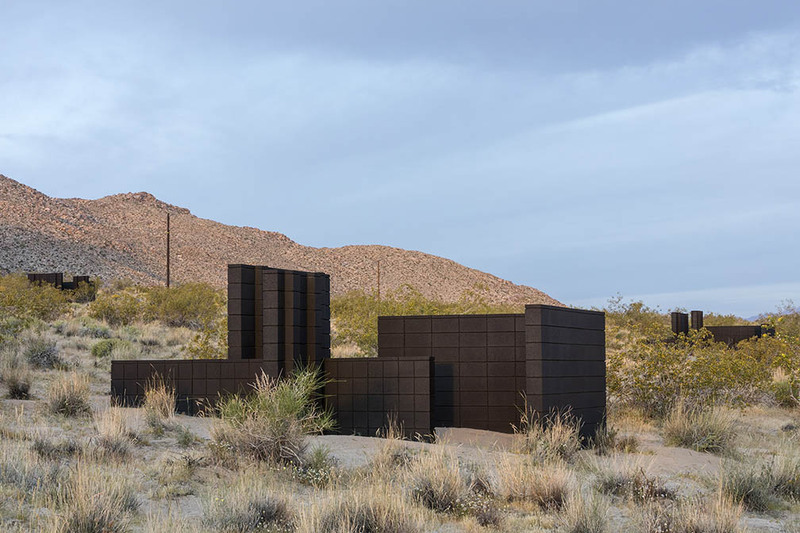 Andrea Zittel's work, pictured here in the California desert is on display at Regen Projects this summer. 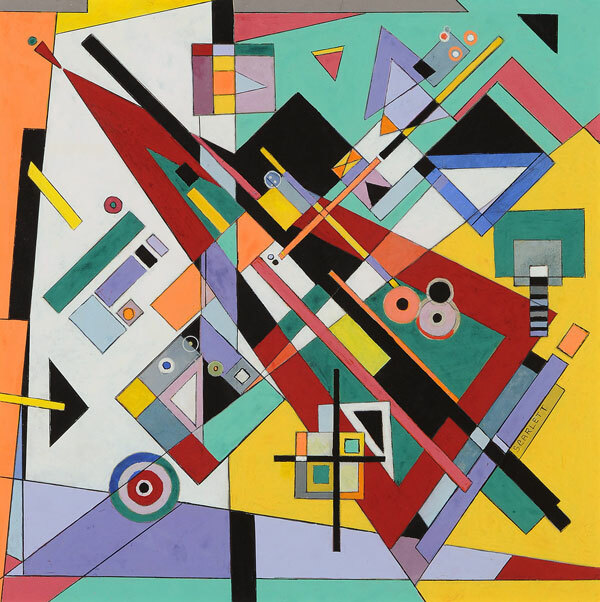 For the last few years the contemporary art scene in L.A. has been burgeoning. 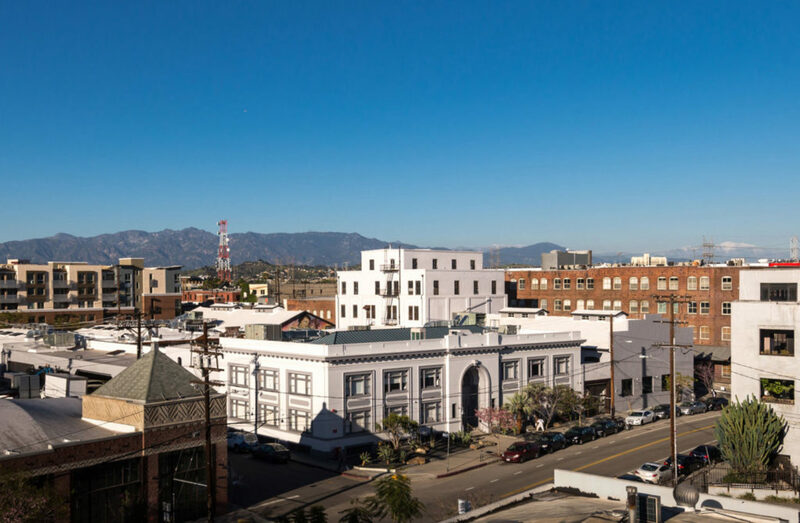 New galleries have been popping up and long-standing venues have expanded programming in the city, which for years was known almost exclusively for Hollywood. Last year, two of the most important galleries in the global art market became part of the L.A. landscape. 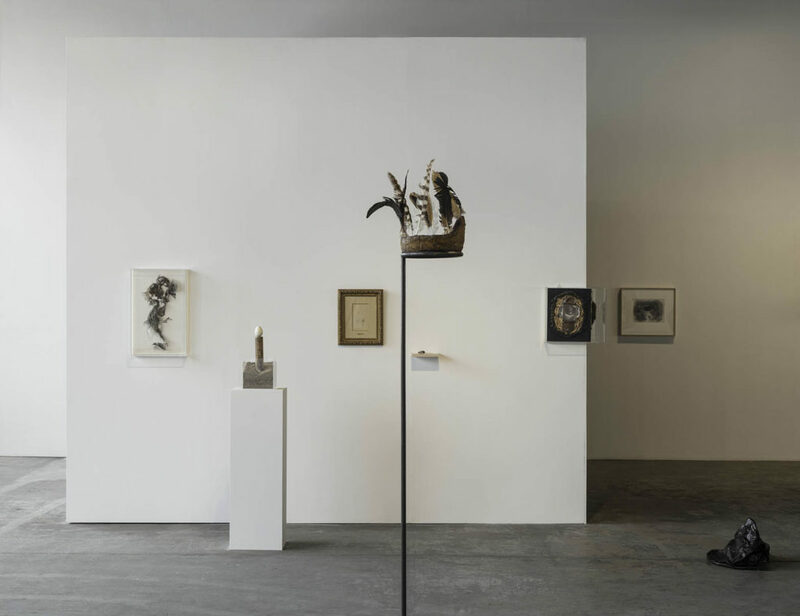 Sprüth Magers, known for having originated in Berlin, opened their first American outpost at 5900 Wilshire Boulevard, and with four other locations worldwide, the hotly anticipated transplant Hauser & Wirth opened a massive gallery downtown shortly thereafter. 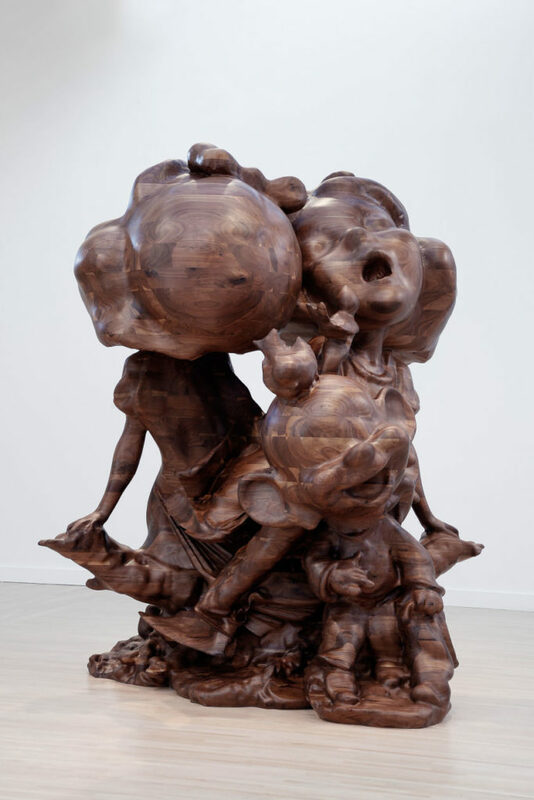 Through September 17, the latter is showing Paul McCarthy’s “WS Spinoffs, Wood Statues, Brown Rothkos,” a continuation of the artist’s ongoing dialogue with large-scale sculpture and fascination with Snow White. 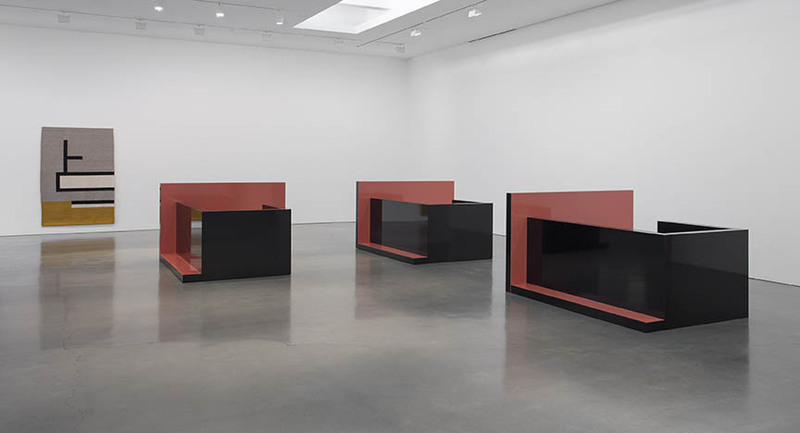 An exhibition of similar sculptures was on view in New York in 2013, and the L.A. iteration is not to be missed. Sprüth Magers, meanwhile, is showcasing work by Argentina-born, L.A.-based artist Analia Saban titled “Folds and Faults” (opening June 27). Saban has a very particular way of making work that interacts with both painting and sculpture within the interior of the gallery. Located on Santa Monica Boulevard, Regen Projects kicked off its summer season on June 8 with a solo exhibition by Andrea Zittel, who has had a studio practice for many years not far from Joshua Tree National Park. Showing new and ongoing work from her series “Planar Configurations and Planar Pavilions,” Zittel merges nature, linear dwellings, and the concept of autonomous survival through sculpture and spatial interventions. 356 Mission was one of the first spaces to reinvigorate the downtown region. 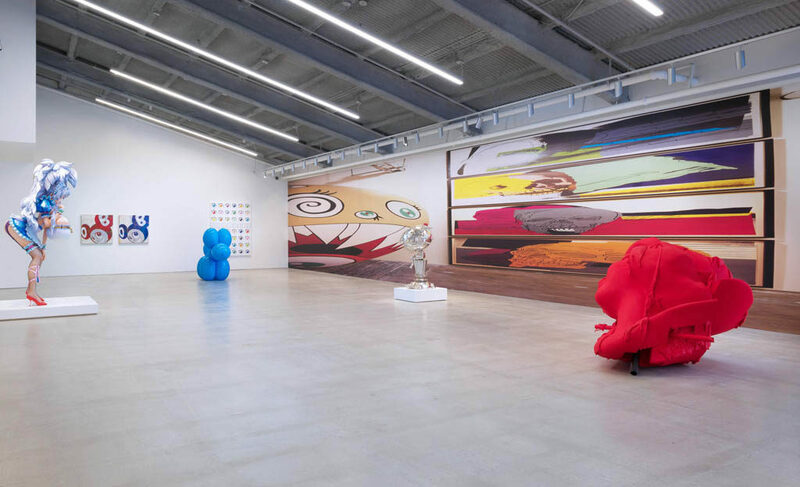 Founded in 2013 by artist Laura Owens and gallerist Gavin Brown, the former piano warehouse functions as both a gallery and Owens’s studio. Through July 30, it is showcasing “Sunlight arrives only at its proper hour,” a group show curated by Mitchell Algus and Olivia Shao. With work ranging from contemporary artists such as conceptual sculptor Michael E. Smith to figurative-painting master John Singer Sargent, the exhibition not only taps into today but also reexamines the past. Another gallery to visit in the downtown area is Château Shatto. With a young team at the helm (led by Olivia Barrett and Nelson Harmon), this gallery is one of the most exciting in L.A.—and their summer show isn’t likely to disappoint. 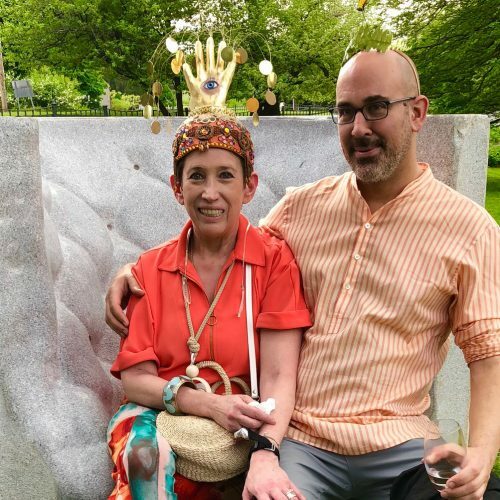 On view through August 10, “At this stage” features a group of in-demand artists including Jordan Wolfson, Bunny Rogers, Body by Body, and Martine Syms, who has received a lot of attention around her inaugural solo exhibition at MoMA. 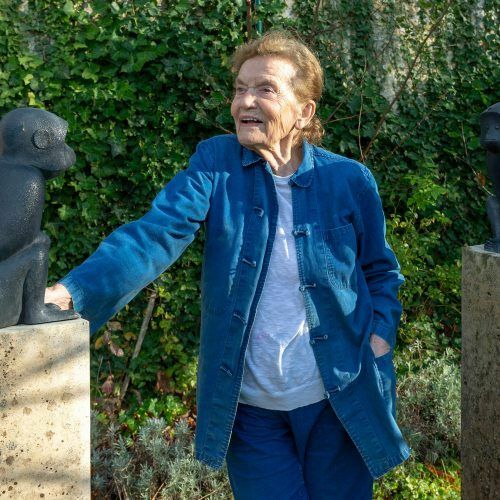 Mier Gallery, in West Hollywood, has become a fast favorite, and while many galleries focus on just one exhibition to last the duration of the steamy summer months, this space will show Ginny Casey’s work from June 6 through July 14, and Polly Borland from July 15 through August 19. 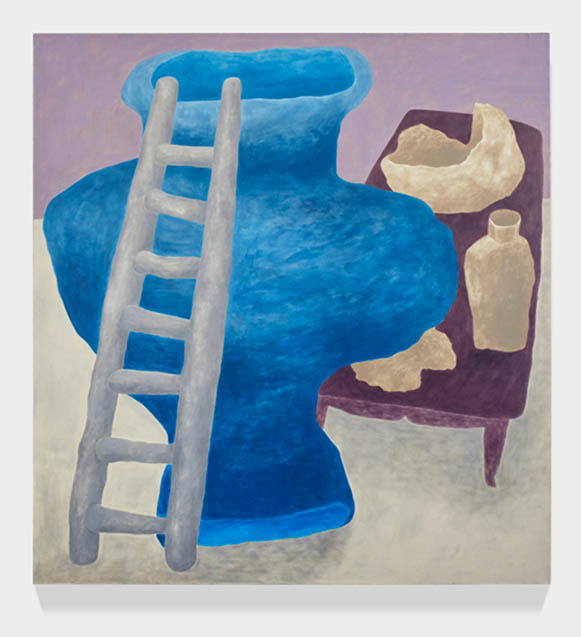 Casey’s still-life, mostly monochromatic paintings incorporate a crunched perspective—a modern update of the structure often associated with Giorgio Morandi. 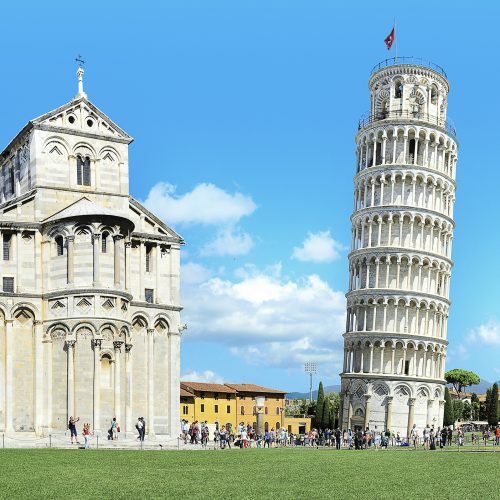 Borland contrarily makes vibrant, glossy photographs aesthetically functioning between the realms of commercial and fine art. Instead of shooting objects, she frames and crops the body within the vertical or horizontal confines of a photograph. Brand new to the scene is Appointment Only. 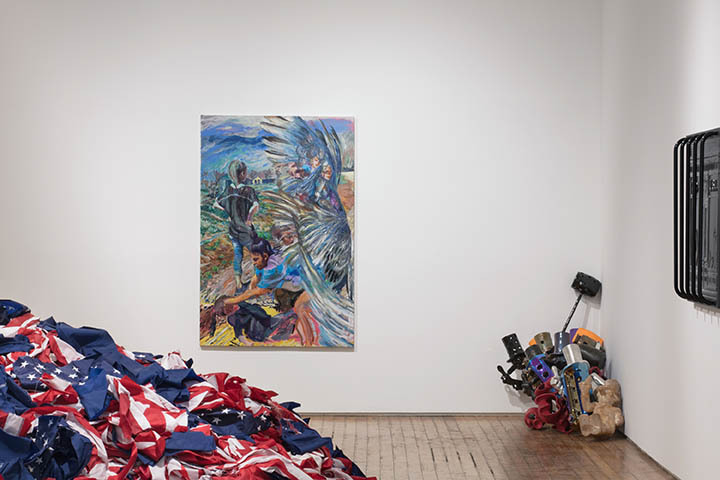 Artist Lucien Smith has set up shop in a disused 15,000-square-foot warehouse, which now serves as his studio, a residency space, and gallery. “Art is about dialogue. I want to be able to share my studio with young artists so that they can come here to create, talk and collaborate. 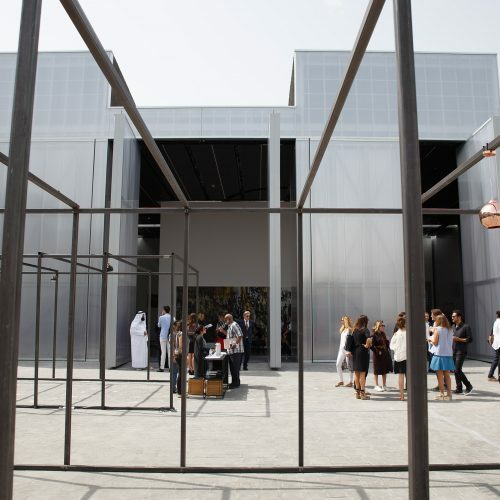 Appointment Only is a gallery/project space and the first part of this mission,” Smith says. The debut solo show is the result of a 3-month residency by Saint Laurent collaborator Alexander Muret, whose series of minimal works use industrial vinyl, collaged in layers on canvas. 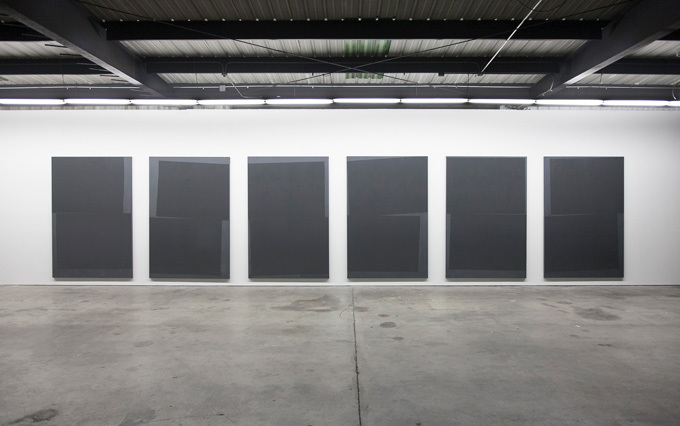 Installation view of Alexander Muret’s work at Appointment Only. Lastly and not to be missed, is the new Marciano Art Foundation. Housed in a former Masonic Temple, it opened its doors to the public in May. Established by Guess co-founders Maurice and Paul Marciano, the inaugural exhibition is curated by Philipp Kaiser, and features a selection of artwork from their permanent collection, dated from the 1990s through today. 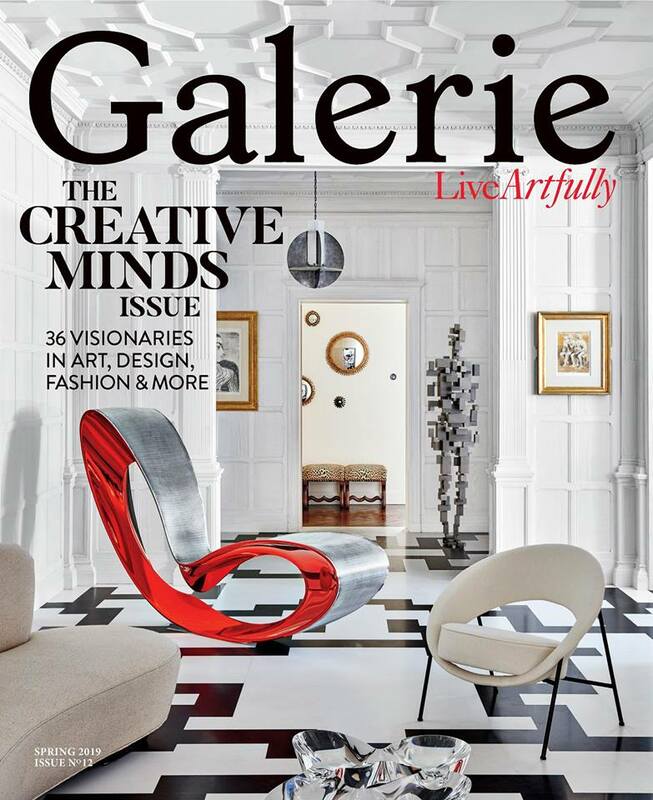 Galerie Magazine © 2018 SANDOW. All Rights Reserved.